Any job in the healthcare industry is equally important and difficult. 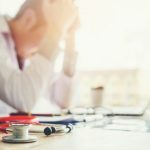 On top of numerous rules and regulations, healthcare professionals must constantly be pushing themselves to grow, both mentally and within their practice. Becoming a medical transcriptionist is no different! Medical transcriptionists are different than medical scribes, as becoming a transcriptionist requires extra training and different skills. It’s easy for some to assume that transcriptionists only sit behind a desk and type out medical documentation. However, there is so much more to the job than that! To give you a better understanding of what is required of a medical transcriptionist, here are seven transcriptionist skills you probably didn’t know about. Having “good” typing skills simply doesn’t cut it for a medical transcriptionist. Transcriptionists spend their day inputting numerous medical records, therefore they need to be able to type quickly, efficiently and accurately. 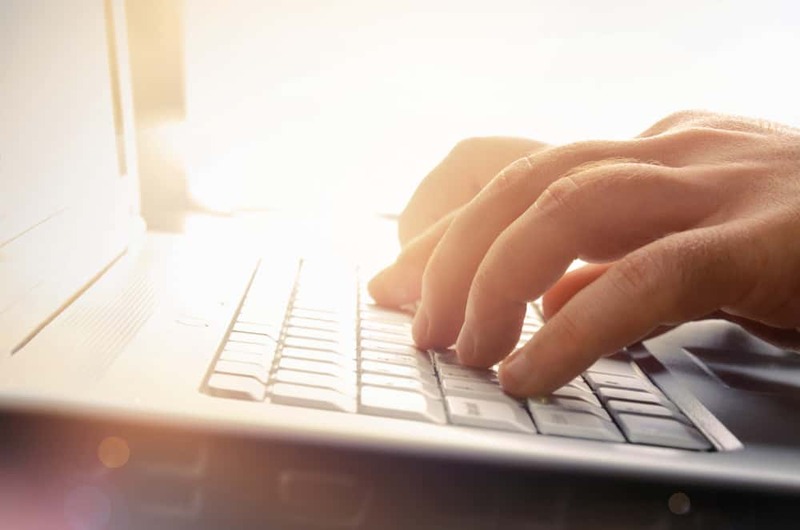 A medical transcriptionist’s speedy typing skills are what allow them to deliver the correct documentation back to your practice in a timely manner. 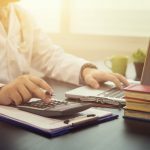 Your practice can’t afford to have documentation be delayed, that’s why this particular transcriptionist skill is one of the most important. In medical documentation and data entry, there is absolutely no room for error. When you put your trust in a medical transcriptionist, you want to know that your patient data is being recorded quickly and accurately. The ability to type proficiently is what makes a transcriptionist so successful. While typing quickly and efficiently is important, it won’t do any good if your patient documents are in one, huge run-on sentence! That’s why having excellent grammar skills is a necessity for medical transcriptionists. Transcriptionists understand proper sentence structure, style, and punctuation. They can hear and properly type out sentences, making your patient data that much easier to read and understand. Not to mention, medical language can get confusing so it’s always helpful to have a skilled transcriptionist who can effectively transcribe that information. Not everyone is able to listen and type (or read and type) at the same time. Doing two things at once isn’t everybody’s strength. However, this isn’t a problem for a skilled medical transcriptionist! Whether patient data is sent in through an app, voice recorder, or traditional notes, transcriptionists are able to listen or read and type simultaneously. This ability to multitask is priceless when it comes to effective medical documentation. Multitasking allows transcriptionists to complete more documentation and hit critical deadlines. Without the ability to multitask, they would be unable to start and complete documentation and data entry in a timely manner. Many people don’t understand what sets a medical transcriptionist apart from a medical scribe. For the most part, it comes down to the amount of training. For an individual to become a transcriptionist, they must either complete a one-year diploma program or receive a two-year associate’s degree. To go a step further, one could then take a test to become a Registered Medical Transcriptionist or a Certified Medical Transcriptionist. Scribes, on the other hand, don’t need a diploma or degree. However, they still go through copious amounts of training. Additionally, transcriptionists are encouraged to continue their education and stay up-to-date on the healthcare industry. Throughout their career, transcriptionists should participate in courses or classes that allow them to remain successful and grow their skill set further. Both critical thinking and attention to detail are skills every medical transcriptionist should be able to demonstrate. It’s critical that they’re able to understand when medical information seems out of place or incorrect, and then fix it accordingly. After all, where’s the value in a highly skilled transcriptionist who mindlessly types outpatient information? By constantly keeping an eye out for potential misinformation, transcriptionists can guarantee accurate and efficient documentation for your practice. As you know, having accurate patient data is crucial to the success of your practice. Transcriptionists know this too, which is why they dedicate their time to checking (and double-checking) your documentation for accuracy every time. Because of their skillset, transcriptionists can understand medical terms and nuances, which only adds to their accuracy rates. Transcriptionists have to be highly trainable to be successful. Aside from knowing medical terms, they must be fluent in a wide variety of languages, speech dialects, tones and speeds. By educating themselves on different voice types, transcriptionists can hear, understand and transcribe information effectively. At DataMatrix Medical, our medical transcriptionists are different than the rest. We firmly believe their skills go beyond what is required of the typical transcriptionist. We hire appropriately, then train and educate our transcriptionists to work with your practice, never against it. Our transcriptionists are trained to operate within MANY different EHR systems and adapt to the way your practice uses it. From practice to practice, the use of EHR systems vary. Our transcriptionists pride themselves on the ability to integrate seamlessly with your practice’s processes and current EHR system set up. Our team of transcriptionists care about your practice and want to see it succeed. By quickly understanding, entering and completing patient information, we guarantee that your practice will have the documentation it needs in no time—within 24 hours, actually! If you’re ready to hire our team of highly skilled transcriptionists to manage your EHR software, get in touch with us. We’re ready to show you how the many skills of a medical transcriptionist can benefit your practice. For more information on the importance of effective and accurate medical transcription, download our free guide, The Power of Intent: Why Words Matter In Medical Transcription. © 2017 DataMatrix Technologies, Inc. All Rights Reserved. Pinckney Marketing. Managed Hosting by Rational Pivot.